This is a real opportunity to grow bilingual teachers in our own communities who are committed to our kids and our families. While Highline and other school districts across Washington state are working to add more dual language classrooms to serve the increasing number of students who are English language learners, there’s an acute shortage of teachers certified for dual language instruction. A new $2.4 million grant to the University of Washington College of Education from the U.S. Department of Education will target that gap by recruiting approximately 60 elementary teacher candidates to earn their bilingual endorsement. Project Bilingual Educator CApacity (BECA) will cover half the cost of each candidate’s tuition in UW’s elementary teacher education program and prepare future teachers to serve in Spanish or Vietnamese-speaking classrooms in the seven Road Map Region school districts as well as Shoreline and Bellevue. During their first year of teaching, the novice teachers will receive additional mentoring and professional development to support their retention. Manka Varghese, associate professor of education and PI for the grant, said the College’s school district partners identified the need to prepare more dual language teachers as essential to serving their students and families. While the UW recently has seen an uptick in the number of teacher candidates interested in earning their bilingual endorsement, Varghese said that taking on debt to enter a profession that is not highly compensated presents a barrier to many would-be teachers. “This effort feeds into efforts in our state and across the country to diversify the educator workforce and better serve students and families,” said Varghese, who is leading the work with fellow PI Dafney Blanca Dabach, associate professor of education. The first of three cohorts to be supported by the grant will start UW’s elementary teacher education program in the summer of 2018. Teacher candidates will participate in field experiences in dual language classrooms in the College of Education’s partner districts, with mentoring from faculty and practicing educators in those districts. After graduating, the candidates will be placed in one of the nine local partner districts. Roxana Norouzi, deputy director at OneAmerica, which serves immigrant communities in Washington state, said better support for dual language classrooms is a key evidence-based strategy for narrowing opportunity gaps affecting those populations. Percy Calaff noted that Highline students in dual language classrooms are outperforming those in English-only classrooms, and it’s not only English language learners who benefit from their expansion. “We’ve seen increasing interest from speakers of English as well,” she said. “One of the most important aspects of growing dual language classrooms is that it not only sends a message that it’s important to speak your home language, but it puts that into practice. 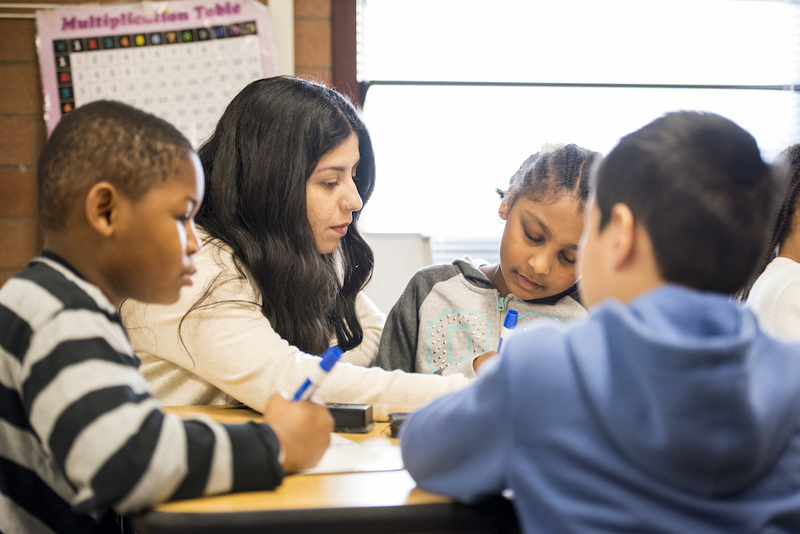 To learn more about applying for the UW’s elementary teacher education program and support through BECA, contact Renee Shank, program director, at rashank@uw.edu.